We specialise in catering for small numbers, couples and families 1:1 to 1:6 max. SKG is also a member of the Pembrokeshire Outdoor Charter Group. Drawing on years of sea kayaking and coaching throughout Wales, Europe and further afield, together with considerable local knowledge. Kayaking in Pembrokeshire has a wealth of opportunities. Primarily the sea kayaking but also some of the best surf beaches in the UK. 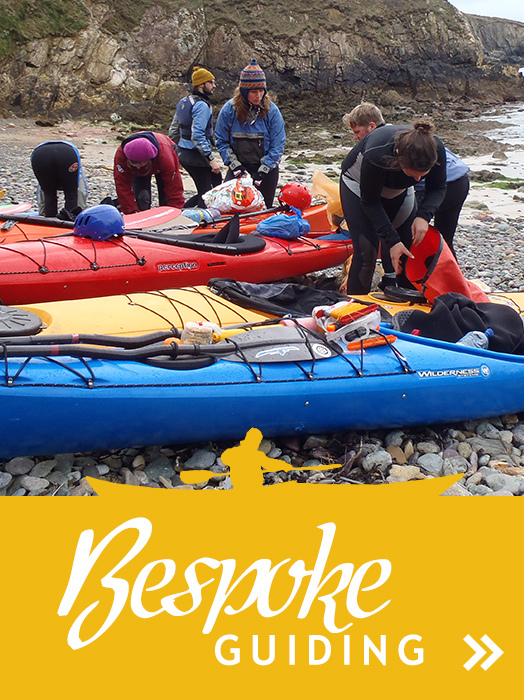 Sea Kayak Guides, (SKG) is a collaboration of three of Pembrokeshire’s most experienced sea kayak coaches, Nige Robinson, Martin Leonard and Ben Fothergill. 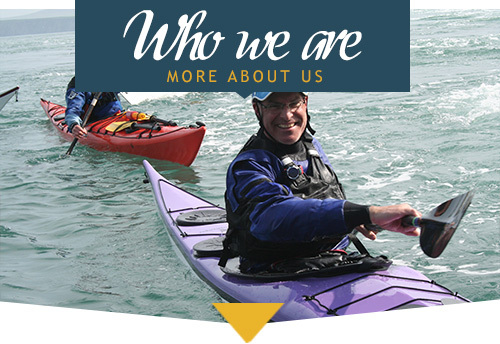 Sea Kayak Guides (SKG) was founded in 2008 and is based on the St David’s Peninsula in the wild west of Wales. The large tidal ranges and flows combine with Atlantic swells to create a truly unique sea kayaking venue. Pembrokeshire was recently voted ‘2nd Best Coastal Destination in the World’ by National Geographic and Lonely Planet readers. We might be somewhat biased but we think it is THE best sea kayaking destination in the world. From the peaceful bays and sandy estuaries to the dramatic cliffs and off-shore islands, we can offer learning experiences for all levels of ability. 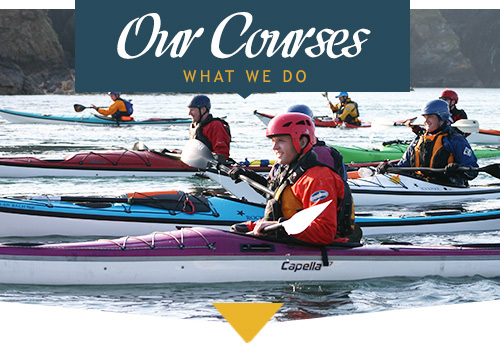 Drawing on years of experience in sea kayaking and coaching throughout Pembrokeshire, Wales, Europe and further afield, we are able to offer bespoke guiding as well as training and qualification courses to cater for a wide range of needs. 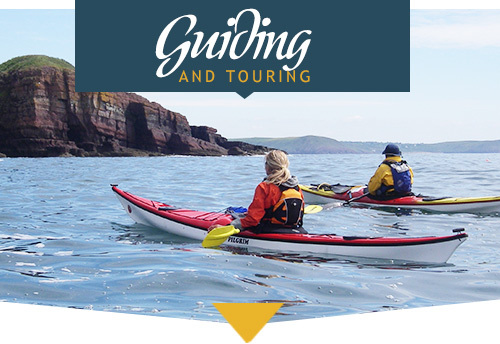 SKG are proud members of the Pembrokeshire Outdoor Charter Group; which aims to raise awareness among paddlers and all recreational users of the marine environment. Spatially and temporally sensitive areas around the Pembrokeshire coastline are outlined with respect to nesting seabirds, seals in pupping season and further areas for environmental consideration. Collaboration with the P.O.C.G allows us to further enrich the experiences our paddlers have through the provision of information and a deeper understanding for the environment in which they are paddling. Contact us and start your adventure today! ...for a weekend of fun exploring the beautiful Pembrokeshire Coast. We have a wide variety of courses and guided trips available and can offer various accommodation options to suit.